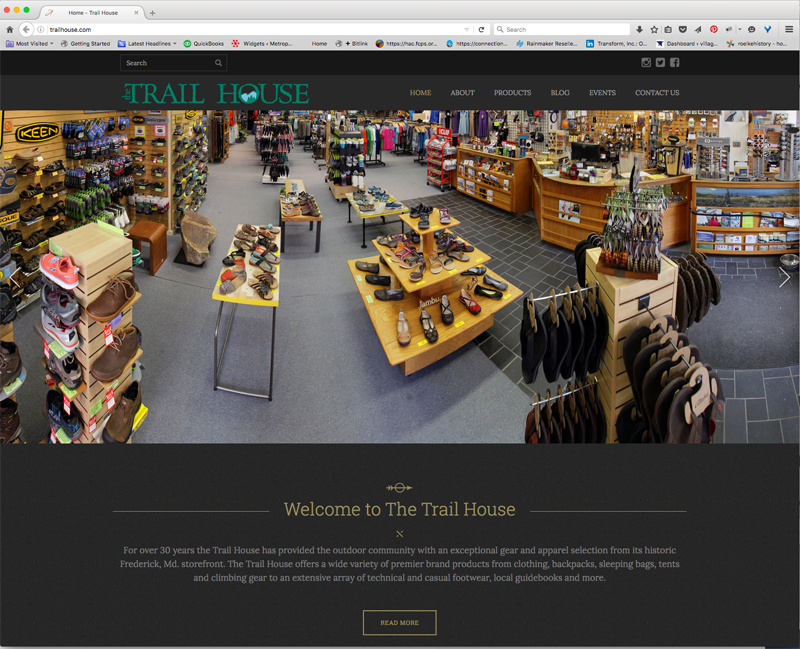 The Trail House is a great independent retailer located in historic downtown Frederick, MD. After many years, they were in need of a new website that better reflected the products they sell as well as their vast knowledge. Working from a great portfolio of pictures, we put together a site that really captures the essence of the store, its products, and staff.